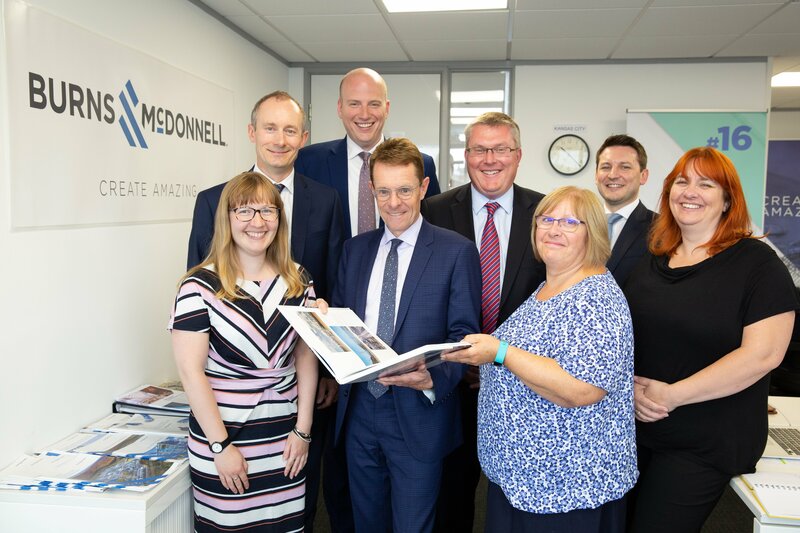 BIRMINGHAM, England — US engineering and construction firm Burns & McDonnell has marked one year in Birmingham by setting out its approach for achieving world class infrastructure in the West Midlands. 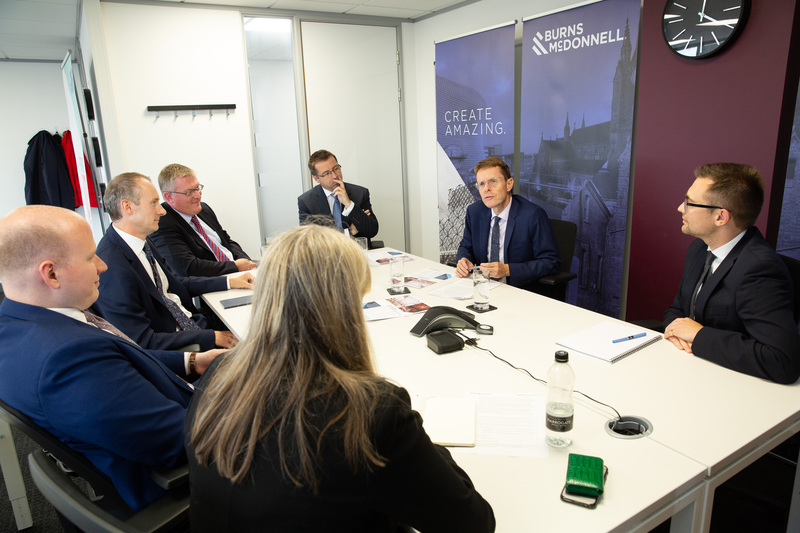 The company welcomed the Mayor of the region, Andy Street, to their Birmingham offices to discuss the approach this week. 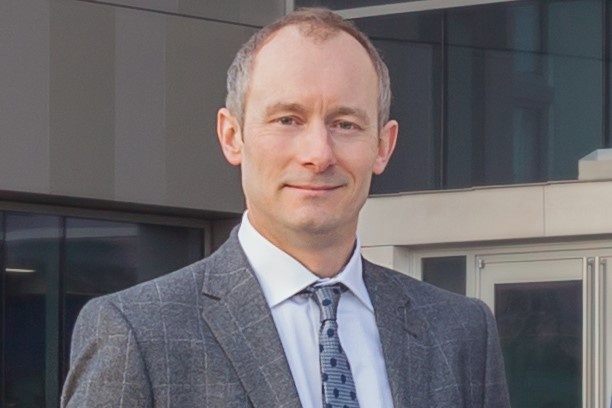 The leading provider of full-service engineering, construction, and consulting solutions established its first UK base in Birmingham a year ago this month. Having recently worked with clients ranging from the US government to prominent companies on the Fortune 50 on pioneering infrastructure projects in America, they have now set out their ideas for how to ensure the West Midlands’ infrastructure is the best in the world. Partnership is key: All public bodies and businesses must work together as much as possible. By pooling ideas and channeling different perspectives, solutions that benefit the whole of the West Midlands will be delivered more quickly. Look to the future through innovation: Bold, creative thinking and using the best and most modern technology will be vital in ensuring the region’s infrastructure is fit for the future. Put people at the heart of solutions: Working hand-in-hand with the region’s residents and business owners to develop ideas for transport, energy and public spaces will help find solutions that are in touch with people’s needs and help make their daily lives easier. 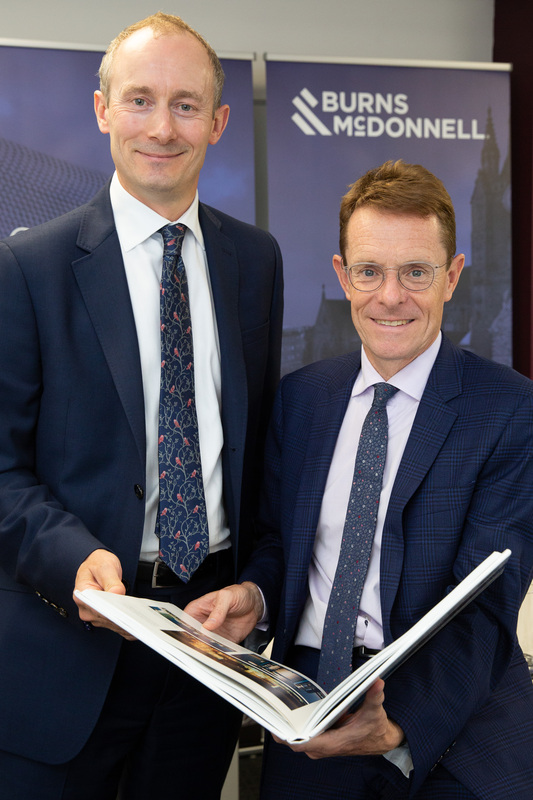 Andy Street, Mayor of the West Midlands, said: “It was great to hear about the plans and ambitions Burns & McDonnell have here in the West Midlands. Over its 120 year history, Burns & McDonnell has gained extensive experience of working with city mayors and regional leaders in the United States to develop innovative infrastructure projects, making them well placed to work on similar projects in the UK. Their US work has seen them deliver an innovative Streetcar in Kansas City, and design new ways of delivering energy to people via advanced microgrid technologies. These will usher in new ways to utilise clean renewable energy in some of America’s most heavily populated urban areas. The company is rapidly expanding in the UK, having recently hired two more engineers to join their team. Burns & McDonnell is a private, employee-owned engineering, design and construction firm with more than 6,000 professionals located in offices throughout the world. We strive to create amazing success for our clients and amazing careers for our employees. We are ranked by Engineering News-Record as No.1 in Power and Electrical Transmission & Distribution. We develop solutions through creating passionate partnerships, placing client service front and centre, understanding clients’ needs and striving to make them successful. Our employee-ownership culture means that our success is closely aligned to our clients’ success. We are bold in how we develop solutions and challenge the norm, drawing from the whole company to find answers to some of the toughest questions. We work on some of the world’s most crucial infrastructure projects, delivering a completely integrated service from concept to completion. 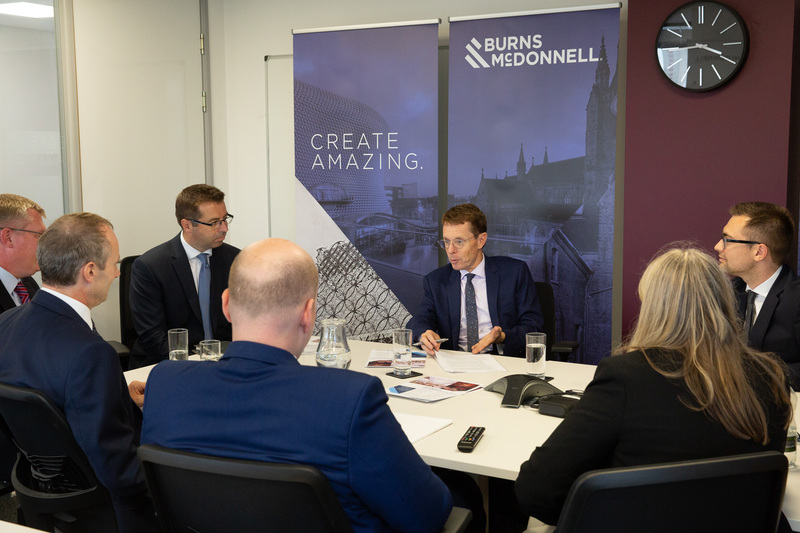 In 2017 Burns & McDonnell opened its first UK office in Birmingham. With 119 years of experience designing and building infrastructure throughout the world, Burns & McDonnell is now taking forward a long term investment plan in the UK. With the UK energy market undergoing a transformation, our focus is on providing a differentiated service across technical consultancy, engineering services and project delivery as the UK adapts to a low carbon future underpinned by smart technologies.